Weibo decline: What it really means for the future of China's Internet. The once almighty Sina Weibo, a microblogging site commonly referred to as China’s version of Twitter, is apparently on the decline. According to research commissioned by the Telegraph, the number of posts has dropped by up to 70 percent, following a Communist Party campaign to intimidate influential users. Weibo has also lost users. Will the decline of Weibo strike a blow to the power of the Chinese Internet? The answer is no. As the power of the Internet grows, so do authorities’ attempts to keep it in check. In that sense, Weibo’s fall is just further proof of its influence. Weibo once looked indomitable. Having attracted more than 500 million users (even if some are zombie accounts), at one point there appeared to be more people on Weibo than there are people in the United States. In Western media stories about China, the Weibo commenter is the new “man in the street.” Even American celebrities got on board. Tom Cruise has a Weibo account, as does Beyoncé. Weibo is also subject to pervasive censorship, with countless banned words. But Chinese netizens have long found ways to get around keyword filters and human censors. They purposely miswrite words, mix Chinese characters with Roman letters, or just find clever ways to get their point across. Too sensitive to talk about “June 4,” the day of the 1989 Tiananmen Square crackdown? Try “May 35” instead. That is, of course, until May 35 also became a sensitive term. Sometimes the sheer volume of posts on Weibo seemed to overwhelm the censors, and so news, information, and rumors managed to snake through. Furthermore, an influential Weibo account could have greater broadcasting power than a local newspaper. In a country whose government fears physical assembly and collective action, one person could reach tens of millions via a mobile phone. Weibo’s successor may be the social networking app Weixin, or Wechat, which the New York Times described as “part Facebook, part Instagram and even part walkie-talkie.” Weixin, however, appears better suited for networking within smaller groups, rather than speaking to the masses. This raises an unsettling question: If the drop in Weibo interest is indeed due to censorship (and not simply to the fact that Weixin is cooler), then have the authorities “won”? Again, no. After having observed the Chinese Internet for a decade, I have seen plenty of these shifts. When I first started looking at the Chinese Internet in 2004, everyone was talking about bulletin board systems. By 2006 BBS were lame, and the cool netizens were talking about the power of blogs. Then blogs were out, and microblogs were in. Twitter looked promising, but then it was blocked by Chinese authorities. There was a moment of excitement for Fanfou, a Chinese Twitter clone, but then that was shut down. (Fanfou did eventually return.) So in swept Weibo. Yet none of these changes have stemmed the power and dynamism of the Chinese Internet. Just as the deaths of Friendster or MySpace didn’t signal the end of the Web. 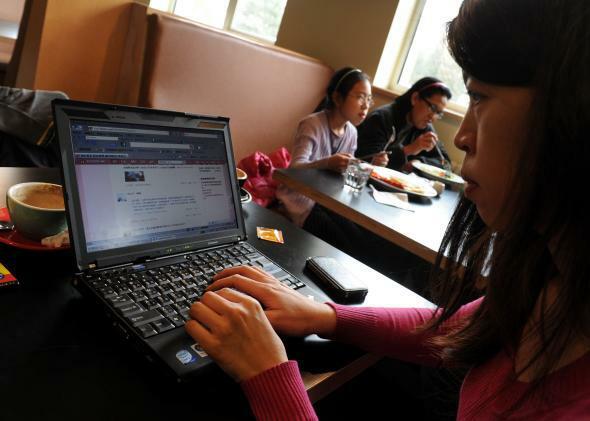 On the Internet, ordinary Chinese discover that they have a voice and other people can hear it. Social media fads come and go, Web sites rise and fall, words are written and deleted. But that discovery is impossible to erase.